Sally Herbert is looking for higher ground in RiNo. Instead of a penthouse with mountain views or a rooftop bar, the Air Force veteran and GS1 executive plans to grow lettuce. And this farm requires some vertical. Dissatisfied with Denver’s urban agriculture and farming, Herbert founded Altius Farms with the goal of growing produce on a footprint that spreads up, not out. 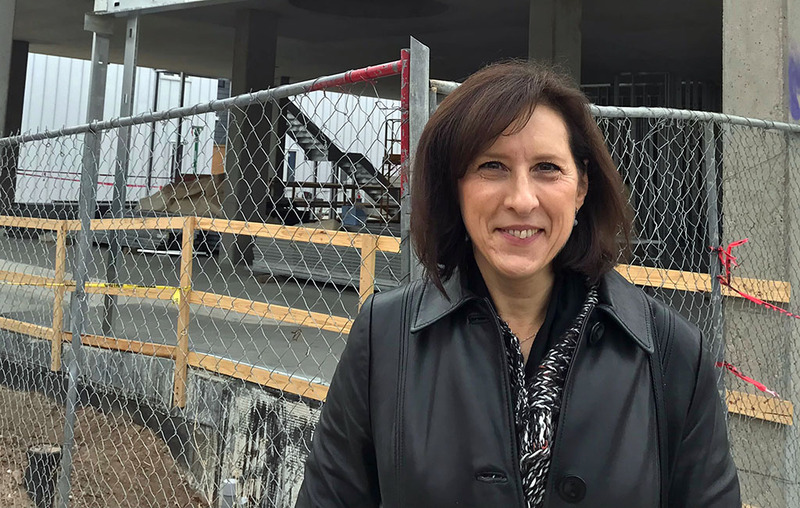 Construction is underway on the company’s first greenhouse, a 7,000-square-foot structure at the new S’park development on the corner of 25th and Lawrence streets. 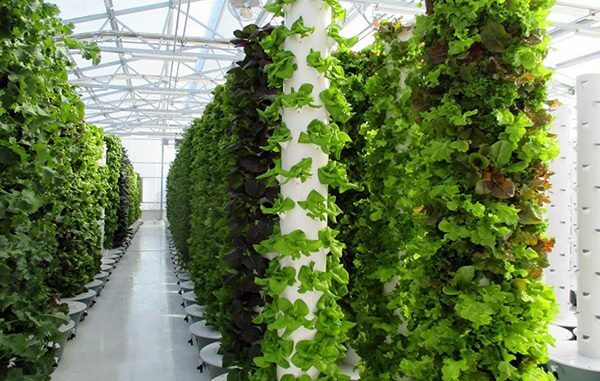 Herbert said the greenhouse, with 340 aeroponic garden towers, could produce 75,000 pounds of lettuce, herbs or other leafy greens annually at full capacity. Aeroponics is the process of growing plants without soil. The greenhouse is set to open in spring 2018. Herbert said she hopes nearby restaurants will account for most of sales. The produce prices will be comparable to other locally sourced products, and Herbert thinks restaurant owners would pay more for the freshness. “If I can deliver every day or every other day to a restaurateur, they’re really happy,” she said. Plans call for the remainder of produce to be sold through CSAs – community support agriculture – to nearby residents. Lettuce and arugula will be the greenhouse’s main crops, but the company also plans to grow celery, edible flowers and bok choy, and can grow custom produce by request. 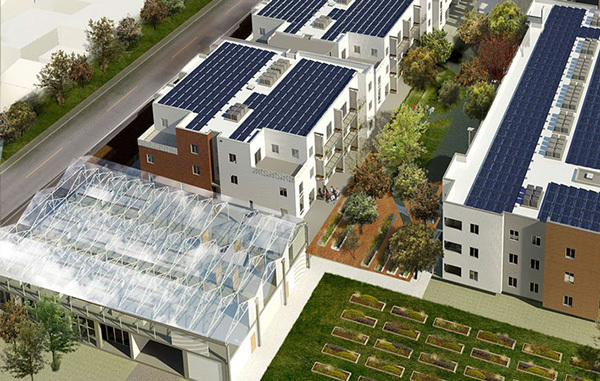 Unlike Infinite Harvest, another local Denver vertical farm, Altius will not use LED lighting or a shared water system. “We’re not sharing water from tower to tower,” Herbert said, adding that will reduce the number of waterborne pathogens to the produce. Herbert, a graduate of the University of Colorado and Colorado State University, was an executive of barcode company GS1 until four years ago, when she moved back to Colorado. She served on the board of nonprofit Veterans to Farmers, where she first learned about vertical farm technology. Herbert said more than $500,000 has been invested in the project, a mix of her own capital, a bank loan and money from other backers. She plans to hire six veterans to run the greenhouse. Altius looked at two other sites, near the Stanley Marketplace and in Westminster, before settling on the property at 25th and Lawrence. It is leasing the greenhouse, above the future site of sushi restaurant Uchi, from S’Park developer Westfield. It’s next door to 99 condos and townhomes priced between $300,000 and $900,000. 3 Comments on "Vertical farm under construction at new RiNo development"
I would very much like to follow the progress on the vertical greenhouse. Wonderful! I wonder how this will impact non-profits like GrowHaus who already provide greens to local restaurants ? Here’s hoping it will put their production out of business so they can focus on the legitimate concerns of the neighborhood they chose to embed themselves in.